Approaching the Founding, With Bravado or Diffidence? One of the most important questions an American—or even a larger citizen of the West could ask is: what is the significance of the American Founding. Or, as Dr. John Willson, Hillsdale College patriarch and The Imaginative Conservative contributor, likes to remind us: there were many foundings and no single founding. Regardless, the question remains—what does the movement toward Independence mean for us as Americans, and as citizens of the West. Vitally, as Americans, our view of the Founding dramatically and fundamentally shapes our own view of ourselves. We look back to the founding and the Founders as symbols—symbols, myths, legends, etc., who necessarily allowed us to define who we are and how we understand our culture, our politics, our patriotism, our policies, our law, our economics, and our projection of ourselves to the world. political analysis should start with a people’s attempt at self-definition or self-interpretation, and this is most likely to be found in their political documents and political writing. At some point, if a political system is to endure, a people must constitute themselves as a people by achieving a shared psychological state in which they recognize themselves as engaged in a common enterprise and as bound together by widely held values, interests, and goals. It is this sharing, this basis for their being a people rather than an aggregate of individuals, that constitutes the beginning point for political analysis. Essentially a people share symbols and myths that provide meaning to their existence together and link them to some transcendent order. They can thus act together and answer the basic political questions: Through what procedures to do we reach collective decisions? By what standards do we judge our actions? What qualities or characteristics do we strive to maintain among ourselves? What kind of people do we wish to become? What qualities or characteristics do we seek or require in those who lead us? For us, as Americans, we have to consider the symbols that went into making the American mind, as well as those that were transformed, purified, Americanized, etc., coming out of the American Revolution. This is merely another way of stating: the Founding was contentious and our understanding of it as Americans is fraught, necessarily, with contentions. Some try to dismiss the Founding as trapped in its historical moment—but, even they must contend with the Founding in their dismissal of it. To put this another way, Eric Voegelin has taught us that what we are in the habit of calling the political tradition of a people is above all a matter of its self-interpretation (from moment to moment, from decade to decade, from century to century) from the beginning to the end of its existence as a people. It is a matter, therefore, of a people’s own understanding of its place in the constitution of being and of its role in history, of what it calls upon itself to be and do as it lives its life as a political society—a matter, in short, of the symbols by which it represents or interprets itself to itself. To understand the symbols coming out of the American Revolution, we must understand the symbols used and employed leading up to and through the American Revolution. This means, that the years 1763 to 1789 are absolutely critical for us as a people. It is in these years that an “American people” came into being. As Hillsdale College, we argue: we’re inheritors of the Judeo-Christian, Greco-Roman tradition (and all of the tensions inherent in the question “what has Jerusalem to do with Athens?”), an experiment of liberty under law. Other concepts and symbols: constitution, rights, duties, natural law, liberty, equality. In our appropriation and Americanization of symbols, we move, for example, from Cincinnatus and the plough to George Washington and the cherry tree. How western is the American Founding? How English is the American Founding? How Christian is the American Founding? What philosophers and ideas helped shaped the ideas of the American Founding? What cultural and ethnic traits went into the Founding? How bound are we to Natural Rights? That is, is Lincoln correct in his re-interpretation of the American Founding? Immediately following the Revolution, most Americans saw the Revolution in Whiggish, patriotic terms—Americans understood liberty and self-government, better than anyone else in the world; the British failed to understand their own traditions, and the Americans were about to act on that failure and secure the rights which their classical, medieval, and Reforming forefathers had left them. Consequently, the struggle between 1773 and 1776, critically, was a moral one, with the Americans on the side of right. Certainly, no American version of Thomas B. Macaulay has ever stepped forward to create the American character as Macaulay did the British character of the 19th century. As Macaulay wrote of the Romans (clearly, forefathers of the British, in his view), a true man venerates the ashes of his fathers and the temples of his gods. He also writes good histories. 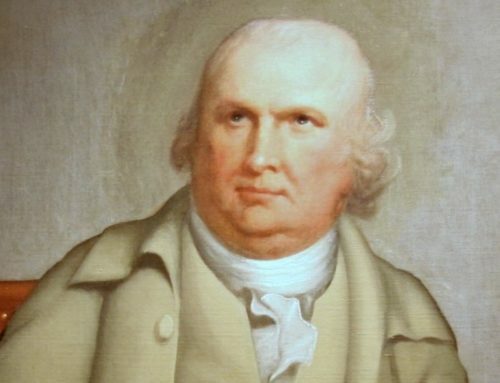 Some gentleman scholars, such as George Bancroft, saw the Revolution as a prelude to the arrival and cultivation of true democracy, thus already present the American Revolution in a quasi-progressive light. Regardless, until the formal Progressive Era, Americans celebrated the Revolution as a profound moral event in history of the world. By the exertion of the same talents and virtues, property and character both are often acquired: by vice and indolence, both are often lost or destroyed. The love of reputation and the fear of dishonour are, by the all-gracious Author of our existence, implanted in our breasts, for purposes the most beneficent and wise. . . . But to that honour, whose connexion with virtue is indissoluable, a republic government produces the most unquestionable title. The principle of virtue is allowed to be hers: if she possesses virtue, she also possesses honour. Though the name of liberty delights the ear, and tickles the fond pride of man, it is a jewel much oftener the play-thing of his imagination, than a possession of real stability: it may be acquired to-day in all the triumph of independent feelings, but perhaps to-morrow the world may be convinced, that mankind know not how to make a proper use of the prize, generally bartered in a short time, as a useless bauble, to the first officious master that will take the burden from the mind, by laying another on the shoulders of ten-fold weight. . . . She has in great measure lost her simplicity of manners, and those ideas of mediocrity which are generally the parent of content; the Americans are already in too many instances hankering after the sudden accumulation of wealth, and the proud distinctions of fortune and title. They have too far lost that general sense of moral obligation, formerly felt by all classes in America. . . . We wish for the duration of her virtue; we sigh at every appearance of decline; and perhaps, from a dread of deviations, we may be suspicious of their approach when none are designed. As with every other Founder, Mercy Otis Warren feared the permanent loss of American virtue, and, therefore, the loss of true liberty and of the republic. De Tocqueville confirmed much of this in his trip to America in the early 1830s. Still, the belief that the War for Independence had been a moral event persisted into the late nineteenth century. With the progressive historian Charles Beard, though, everything changed. Suddenly, the American Revolution became an object of academic inquiry, skepticism, and deconstruction. 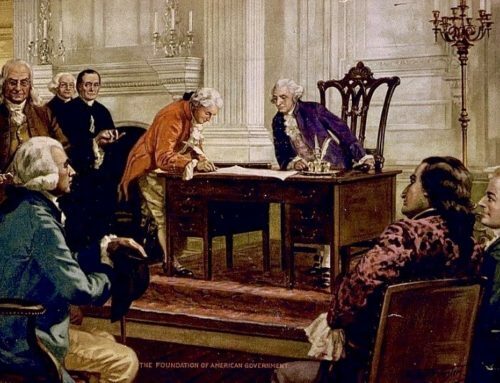 Were these not merely elite, wealthy men trying to gain control over the levers of power through the U.S. Constitution? Such questions had been asked before, of course, by men such as the Anti-Federalists and John Taylor of Caroline, but these dissents had not changed the strong American narrative of the meaning of the Revolution, at least not at the level of myth. Government, in my humble opinion, should be formed to secure and to enlarge the exercise of the natural rights of its members; and every government, which has not this in view, as its principal object, is not a government of the legitimate kind. Great piece. Where does Lutz’ quote come from? The Lutz quote comes from his book The Origins of American Constitutionalism.